Safety-First! Even a Struck Crawler’s low center of gravity and ground-gripping traction are not a substitute for ROPS protection on slopes and uneven ground. Includes 2 point with overhead bend roll over protective structure, seat belt & installation hardware. ** According to Federal Laws, no tractor can be operated by employees without a Roll-Over Protective Structure! For operator safety, a ROLL-OVER PROTECTIVE STRUCTURE is strongly recommended for all MAGNATRACS in the recommended weight category! 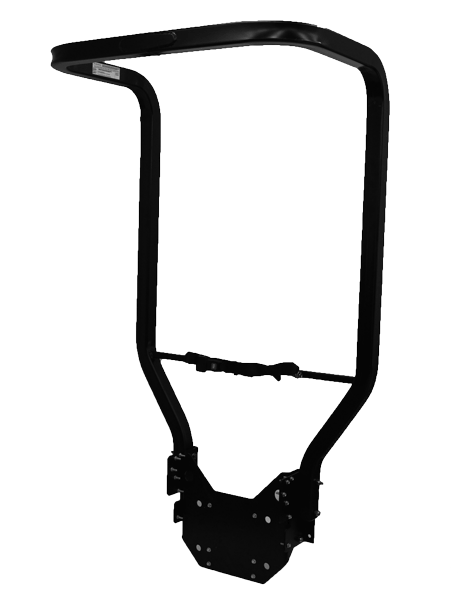 (RS1000 with manual attachments does not qualify as sufficient weight) Factory Assembled if purchased with a MAGNATRAC package.